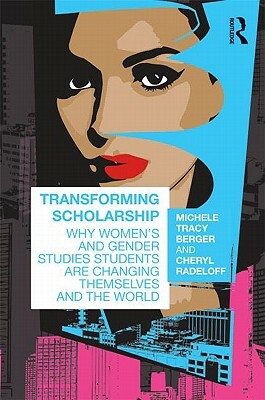 One of the newest books to our Feminist Library, Transforming Scholarship: Why Women and Gender Studies Students are Changing Themselves and the World is a great resource for any current or potential WGST students unsure of what they want to do after graduation. The book holds a combination of the history of Women’s Studies, stories from real current and former students, suggestions for potential careers, and more. After seeing so many of their students struggle over their career aspirations– or lack thereof– WGST Professors Michele Tracy Berger and Cheryl Radeloff decided to create a lasting resource to help WGST scholars everywhere. Don’t know how to tell your parents you want to study Women and Gender Studies? Love your WGST classes but don’t know how to apply your knowledge in the “real world?” Want to make a difference in the world? This book is for you! Interested? Come by the WRC to borrow this book– or many other great books– from our library. We are so excited to announce our new location in the Tivoli Student Union, room 303! 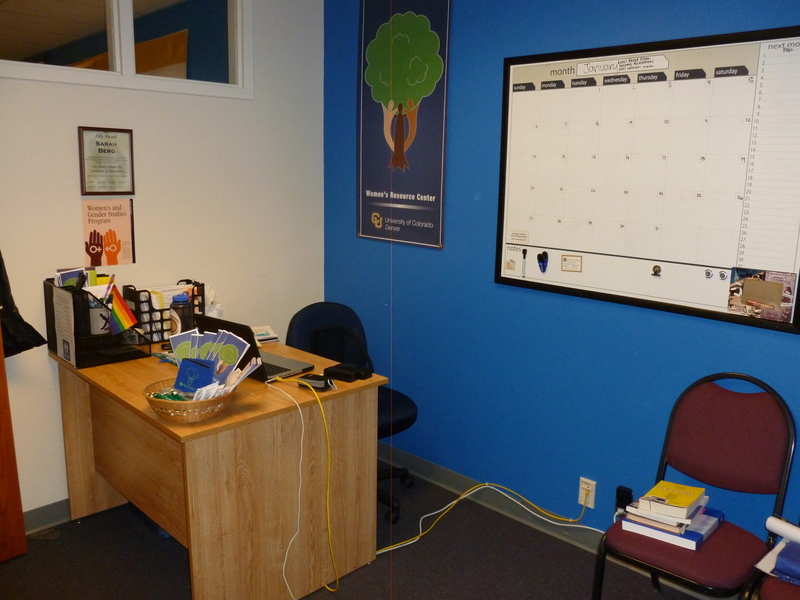 Our new space is a little bigger and a lot more open. Swing by sometime soon to see the new digs and check out all of the new additions to the library. The WRC coordinator hard at work! 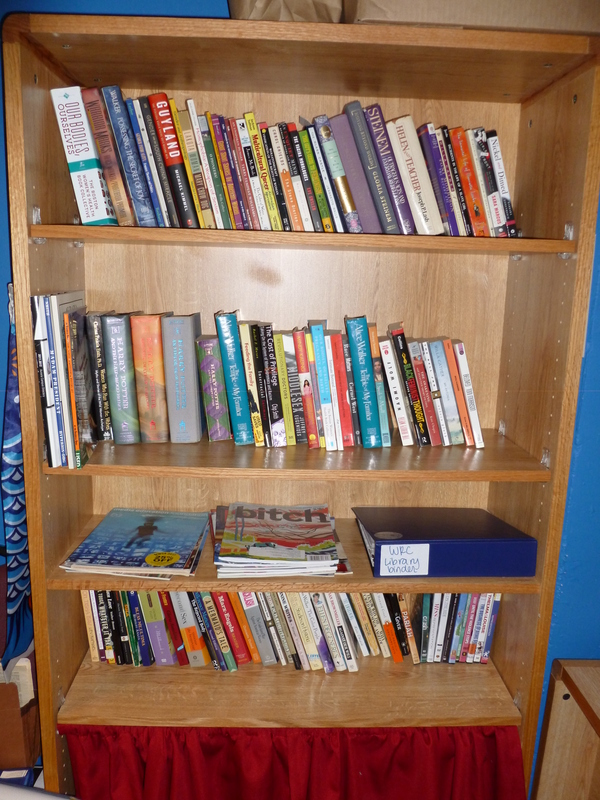 Finally a bigger bookshelf for our Feminist Library! 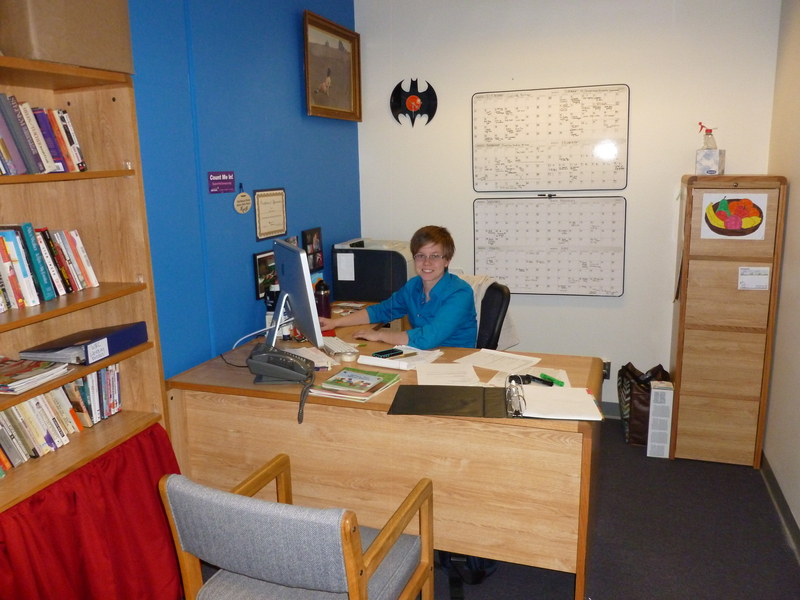 The new and improved graduate assistant desk.